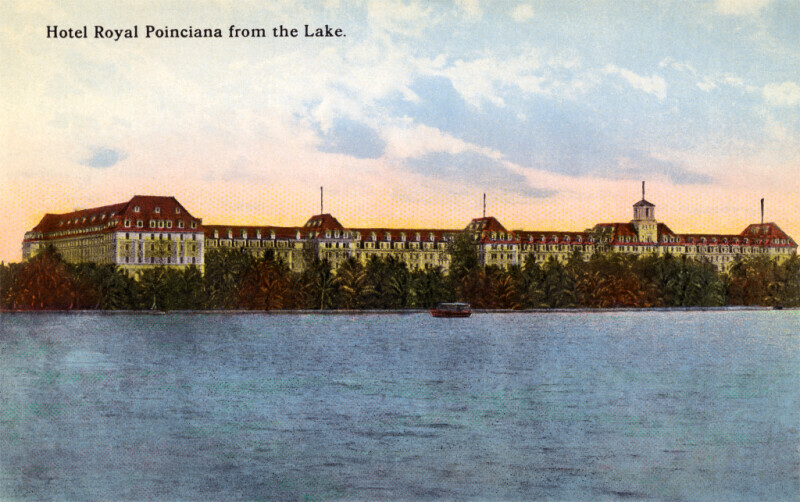 This is a picture of the Royal Poinciana Hotel, as seen from Lake Worth. The lower stories of the hotel are obscured by palm trees. There is a boat on the lake. There are four flagpoles on the roof of the hotel, but no flags are being flown.